Brighter neutron flux and experienced French-German collaboration brings long-awaited routine to the study of complex molecular and kinetic systems. 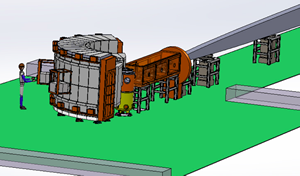 This is the fourth in a series of articles highlighting the instruments selected to enter Phase 1: Preliminary Engineering Design, for the European Spallation Source (ESS) suite of instruments. Twenty-two instruments are anticipated at ESS. The instruments in this series are expected to enter the ESS user program by 2023 and will address the needs of the ESS core user community. They have been selected through a rigorous but inclusive, community-based process that begins with an open call for proposals, moves through reviews by experts inside and outside ESS, and ends with a recommendation to advance into Phase 1 by the ESS Steering Committee. The full proposal and selection process is described here. THE USE OF NEUTRON SCATTERING research using biological and soft matter materials has long been limited by small sample sizes. Obtainable crystalline samples are suitable for X-ray studies but often too small to produce satisfactory results with neutron sources. This has left key gaps in the knowledge of the structural and dynamical properties of these systems. Producing neutron beams an order of magnitude brighter than the next brightest source, the European Spallation Source (ESS) is inspiring a new generation of instrument designs and technologies that will make these limitations a thing of the past. Above: Time-distance diagram of C-SPEC. The PR/M-chopper system is used to set the resolution and the operation mode, i.e., to select the number of pulses impinging on the sample. C-SPEC, which stands for Cold Chopper Spectrometer, is a direct geometry, time-of-flight (TOF) spectrometer that will be used to study the structures, dynamics, and functionality of large hierarchical systems, including liquids, colloids, polymers, foams, gels, and granular and biological materials. The wide reach of the instrument’s user base also includes investigations into energy materials and magnetism. 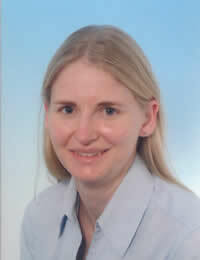 The C-SPEC concept was developed by Dr. Wiebke Lohstroh, a member of Prof. Winfried Petry’s research group at the FRM II neutron source operated by the Technical University of Munich (TUM); and the Laboratoire Léon Brillouin (LLB) research group of Prof. Christiane Alba-Simionesco, director of LLB and chairman of the European Neutron Scattering Association. The instrument will improve and expand the range of TOF neutron spectroscopy experiments classically limited by a lack of flux. The strong collaboration that has arisen between FRM II and LLB is built upon a broad, complementary platform of neutron research. While both institutions are strong in soft matter and biophysics research, LLB additionally focuses on physical chemistry, magnetism, superconductivity, and structural and phase transition studies. FRM II specializes in materials science, structure research, quantum phenomena, nuclear and particle physics, and neutron methods. The result of this partnership is a workhorse spectrometer that will deliver results for both an academic and industrial user base. Artist's impression of the instrument. Neutron spectroscopy measures the atomic and magnetic motions, or random movement, of atoms. Studying such dynamics is necessary to learn the inherent physics of phase changes in materials and to identify basic characteristics such as diffusion coefficients, thermal conductivity, specific heat, and dielectric properties. With C-SPEC and other direct geometry spectrometers, a neutron pulse hits a sample and the neutrons are scattered. Researchers then measure the time-of-flight, that is, the time it takes for outgoing neutrons to travel a known distance before registering on the detector. Energy resolution as function of energy transfer for two different energy resolution settings. In any experiment a wavelength range λ0 +/- 1 Å will be covered. C-SPEC’s chopper system controls the incoming energy of the neutrons delivered to the sample, and therefore the energy resolution, with options for a single-pulse or multi-energy mode. This represents a novel adaptation to the ESS neutron beam’s long-pulse structure that enables more efficient experiments by providing data along different time and length scales simultaneously. The system includes seven choppers, whose multiple parameters work together to control bandwidth, pulse shape, pulse number, wavelength, and energy resolution. The spectrometer will also be outfitted with an exchangeable neutron beam guide section that adjusts to different user needs. One guide configuration will accommodate experiments in single-crystal spectroscopy by providing a homogenous distribution of neutrons on the crystal, while the other is optimized for small samples and situations where access to the sample is restricted on account of a controlled sample environment. This second guide delivers a high flux, focused beam necessary for pump-probe and externally driven experiments. The scientific user asks for measureable signal. In the combination of high intensity measured by the detector, low background, well defined and narrow resolution shape and large dynamical range with the focus on cold neutrons, the instrument aims to be world leading. Aside from its long-awaited contributions to soft matter and life science studies, C-SPEC is expected to contribute to some other noteworthy advances. Geoscience research into the diffusion of water under extreme pressure holds considerable promise for expanding our knowledge of the hydrogenated systems of Earth’s mantle and extraterrestrial environments such as outer planets, moons, and comets. In the field of magnetism, spectroscopy experiments on highly frustrated magnets, spin ices, and spin liquids can reveal the secrets to better computer data storage and RAM, and can contribute to our understanding of the elusive mechanisms of high-temperature superconductors. C-SPEC, like most of the instruments to be built at ESS, will also contribute to the development of energy materials at the farthest reaches of innovation. It is an especially powerful tool for probing the electrolyte properties in applications such as lithium batteries and fuel cells. In combination with nuclear magnetic resonance (NMR) technology, the C-SPEC innovations can improve our comprehension of the dynamics of protons in polymer electrolyte-based lithium batteries. So-called pump-probe experiments, with laser excitation, can enhance our surprisingly limited knowledge of photosynthesis. Through time-resolved measurement, using synchronized neutron and photon pulses, information can be gathered about the light harvesting and internal dynamics of pigment-protein complexes. Schematic layout of the instrument. The P-chopper is located at 100 m just after the monolith and the PR/M-chopper system is positioned at 150 m from the source. The position of the BW1 / BW2 choppers is generic. At 18.16 m from the source an s- shaped bender brings the guide out of the line of sight. The sample will be positioned at 151.4 m, and the secondary spectrometer consists of a 4 m flight path.